Cannabis strains are like coffee shops; once a consumer finds one they love, they won’t explore anything else. Unfortunately, even marijuana lovers who have a favorite strain may find that strain changes from time to time. This is because there are hundreds of cannabis strains currently in existence and they can differ from one grower to the next, simply due to environment, nutrients provided, temperature, stress, or even slight variations in phenotypes. This is why it can be very helpful for marijuana consumers to research and identify cannabis strains that they enjoy, as well as the specific effects they are looking to create from the experience. 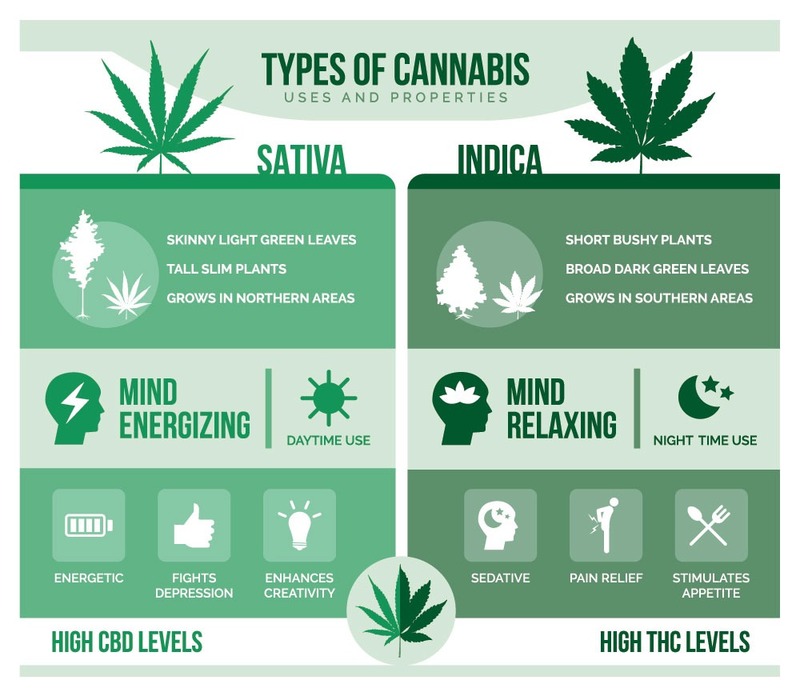 There is no clear scientific evidence to explain the differences between Cannabis Indica and Sativa strains, or even to confirm the existence of differences. However, there are some widely accepted facts between the reproduction and use of marijuana. There are historical explanations for the beginning of the indica version of marijuana. It was first identified as a separate species by the French biologist Jean-Baptiste Lamarck in the late 1700s. He also identified the fact that the plants were abnormal. He felt that it was different from ordinary hemp crops in Europe at that time in potency and specific qualities. Due to the differences in European hemp crops (then known as Cannabis Sativa), Lamarck named his discovery as Cannabis Indica, after India where he discovered his plant specimens, in order to establish its uniqueness from European C. Sativa. Since then, other researchers believe that Lamarck made this determination with very little actual study and that there was no real “proof” that these differences in stems, bark, and shape of leaves and flowers was actually relevant. Similarly, a Russian named D. E. Janischevsky identified another “species” of cannabis as Cannabis Ruderalis in 1924 based on a difference he believed he saw in seed, shape, and size. It is now believed that the species he classified is just a subspecies of C. Sativa. C. Indica was developed over generations of stabilizing and developing the perfect nutritional guidelines for this particular strain. This action resulted in a phenomenal Kush, said to be the absolute King of Indica today. Indica, which originates from the Hindu Kush Mountains of India, is believed to have a relaxing effect on the user. Conversely, C. Sativa has a more energizing effect, and hybrid strains are a combination of the two. Thai is considered one of the oldest strains of sativa, and it originated from Thailand. It is best known for its sweet citrus smell and taste. However, it has a long growth cycle and is slow to flower. One of the original sativa landrace strains is Aceh, which gains its name from the region of Indonesia where it was found. It grows tall and thin, with earthy, lemon, and mango flavors. The Hindu Kush was named for the mountainous region between modern-day Afghanistan and Pakistan where it originated; the Hindu Kush is an old strain of marijuana that has been cultivated for thousands of years. The Nepalese strain is also a landrace strain that has a growth structure similar to sativa strains, and a relaxing sedative effect typical of indica strains. It originated in Nepal and is known for being resinous and pungent. Afghani is an indica landrace strain from Afghanistan, and one of the oldest varieties of marijuana grown. It has a sweet earthy and piney aroma and is known for heavy resin production.